If you suffer from occasional headaches you’re not alone. And whether you experience minor pain or severe migraines from time to time, finding a natural solution that can provide lasting relief is possible through acupuncture. In fact, when it comes to headache pain it is better to address the root causes of the problem. And this is especially true if you suffer from chronic headaches. According to traditional Chinese Medicine there are a few factors that may play a key role in the root cause(s) of a headache. Headaches can also be diagnosed according to specific symptoms, times of occurrence, location on the body, type of pain, triggers and remedies which provide relief. Acupuncture and Chinese medicine take a holistic approach to healthcare in general, and specific issues like headaches in particular. 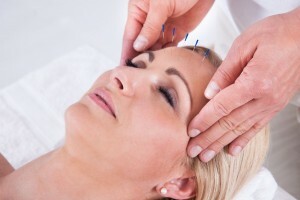 Naturally, acupuncture is extremely effective in reducing the frequency and severity of many types of painful conditions, including headache pain. Changes may occur quickly or over a longer period of time, depending upon your overall constitution and health. And whether you only need one visit to address your headache or several visits for a chronic condition, it’s important to follow recommendations and suggestions after your visit to help prevent future headaches. Try to keep track of when your headaches start. Migraine sufferers may find it especially helpful to keep a diary of symptoms and possible causes. Triggers might include anything from eating chocolate, to anxiety or inhaling specific smells. Pinpointing these triggers—and avoiding them when possible—could help. Making minor changes can, and do, make a big difference in your overall health and vitality. Do your best to eat healthy, organic foods, and make sure to get enough sleep every day.